Escape from the Central Bank Trap. 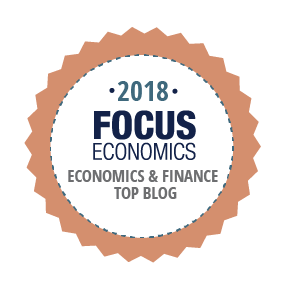 Read the Focus Economics Review here. “The central bank trap is clearly anything but an easy one to get out of.” “In addition to structural reforms to promote lower government spending and higher efficiency, Lacalle recommends tax cuts to let households and SMEs thrive”. Read The Epoch Times review here. Michael Purves. Chief Global Strategist, Weeden & Co.
Central banks do not print growth. The financial crisis was much more than the result of an excess of risk. The same policies that created each subsequent bust are the ones that have been implemented in recent years. This book is about realistic solutions for the threat of zero-interest rates and excessive liquidity. The United States needs to take the first step, defending sound money and a balanced budget, recovering the middle-class by focusing on increasing disposable income. The rest will follow. Our future should not be low growth and high debt. Cheap money becomes very expensive in the long run. There is an escape from the Central Bank Trap.